Sims 4 unable to start: Contents of user data directory were created by a newer version of the sims 4 and cannot be loaded. I moved the files from C: to E: due to low space, and deleted them in C. The game was updating just fine and working, but at the 3 last updates, the game started to show me something along those lines "error to load game: code 3", and it just wouldn't start. Re: Sims 4 unable to start: Contents of user data directory were created by a newer version of the sims 4 and cannot be loaded. 1. "Unable to start: contents of user data directory were created by a newer version and cannot be loaded" error means your current version of the game is lower than the one you had previously played. So you either messed up installation order, replaced "Game" folder with wrong version or played on Origin or ZLO. 2. Those are not all DLCs released. If you downloaded them from games4theworld.org then you need to know G4TW staff doesn't have access to that website and they can't update it. There's "All games4theworld downloads" button at the top of the forum. 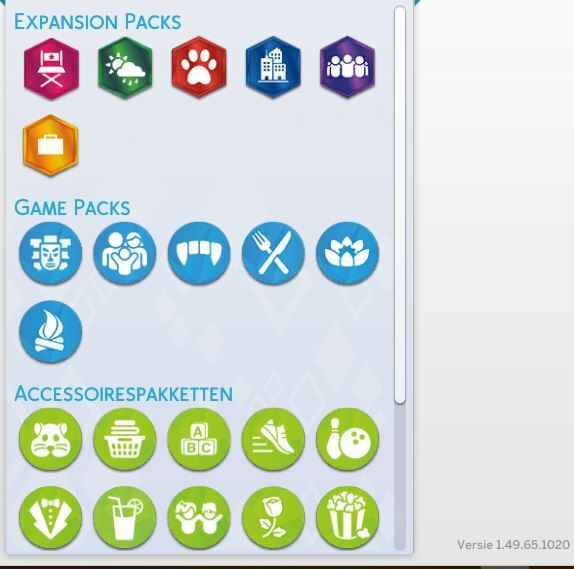 If you want to play as soon as possible, update your game using my repack: https://www.games4theworld.club/t33925-the-sims-4-alternative-installer-v2-download-only-what-you-need-even-smaller-than-before You want to update the game, so you'll need 4 files. Just read "What to download" section. After installing the patch you're ready to play. Just make sure you're selecting the proper installation directory. This will update your game to the latest version without installing DLCs released after Cats & Dogs. But you can always download them later (also from my repack). After installing everything you can switch back to G4TW releases if you prefer those. Oh, and never ever delete "The Sims 4\Game\Bin\Default.ini" or Documents\Electronic Arts\The Sims 4\GameVersion.txt" file unless you want to mess your game up. It won't mess anything if you don't save. So it's cool. Just do what I said. Installing my patch should fix everything. I am sorry what do you mean by "if you don't save"? I deleted that .txt twice now, before I read your reply, and I have a saved file in my game. Also, should I uninstall the game then download the patch? And add it to the base game I have? Or delete everything and just download everything from the link you gave? Or keep everything as is and just add the files to the folder I already have? Don't uninstall anything! Just install the patch on top of what you already have installed. I told you to read "what to download" section and that you need 4 files. Always download _setup-*.exe and helper_tools.rar. "I want to just update the game"
Note: no-origin-fix-*.rar is a crack from CODEX! Password is "origin-fix". Just in case your anti-virus deletes it and you have to extract it manually. With this little information you posted? No, nobody will help you. 1. Where did you get your base game from? Where did you install it? Did you move it anywhere? 2. What "that stuff for update game"? Are you talking about my repack or G4TW releases? If about my repack - what folder did you select during installation? 3. "I can not start the game" tells nothing. Do you get any error message? Does the game just not launch? 4. Why are you posting here? If you don't get the same error message as author of this thread, create a new one or find one with the same problem. I don't understand English so well I am sorry. I download torrent from your site. Someone from this site help me and tell what I need to do and now is working. Thank you for your reply. I am so sorry for the late reply, I did download all 4 files anadius. I just didn't know what exactly to click on I guess. I ran the setup now. If that's where your game is installed then install the patch there too. 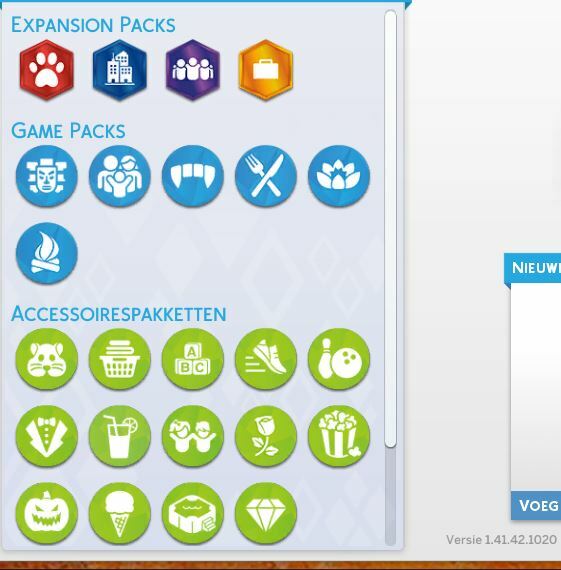 Just one more question xD, I have already downloaded all games4world sims 4 updates up to cats and dogs, my current game only has till the toddlers, vampires and bowling stuff, if I wanted to update the game, should I just copy and replace the files just like the normal? Or is there's something else I should do now that I have the patch? Extract just the DLC folder - for Cats & Dogs it's "EP04". My patch updated your "Data", "Delta" and "Game" folders to the latest version (1.49.65.1020) so all you need is just folder with the DLC. I am back ;-; with a new problem. So I updated the game with fitness and Toddlers stuff updates, I only copied the DLC folders as told. However, since then, my game became very laggy and would crash like 30 minutes into gameplay. Delete this file: game/bin/rld.dll. How did it even end up there? My installer deletes the "Game" folder to get rid of unnecessary files. Another thing could be that your PC is just not powerful enough. The more DLCs you have the more resources the game needs. This error message is often caused when you overwrite your current Sims 4 installation with an earlier DLC. To be able to play the Sims anyway you can simply remove the file GameVersion from Documents\Electronic Arts\The Sims 4. At least the game will start and you can see from the icons in the main screen which DLC's are installed or not. In that same screen you can also see your current version number. Example: Say you have installed My First Pet after Get Famous. You'll get the error of course as the GameVersion in Documents\Electronic Arts\The Sims 4 indicates that Get Famous is your last played game. The file Default.ini in Program Files\The Sims 4\Game\Bin is overwritten by the details of My First Pet so 2 different versions. When you delete the file GameVersion your game is set back to My First Pet. Often re-installing Get Famous will cure this problem. If you read that topic you'd know the original problem was already fixed. And please don't tell people to delete "Documents\Electronic Arts\The Sims 4\GameVersion.txt" or "The Sims 4\Game\Bin\Default.ini". While this makes the game start it may also corrupt your save file and cause some problems later on. @anadius wrote: If you read that topic you'd know the original problem was already fixed. It's clear that you are missing Seasons and Get Famous and you are back to version 1.41.42.1010. Re-installing Get Famous + latest patch will solve the problem. I never adviced to delete Default.ini and I fail to see how the deletion of GameVersion will harm your Saves when you just start the game and don't play/save it.